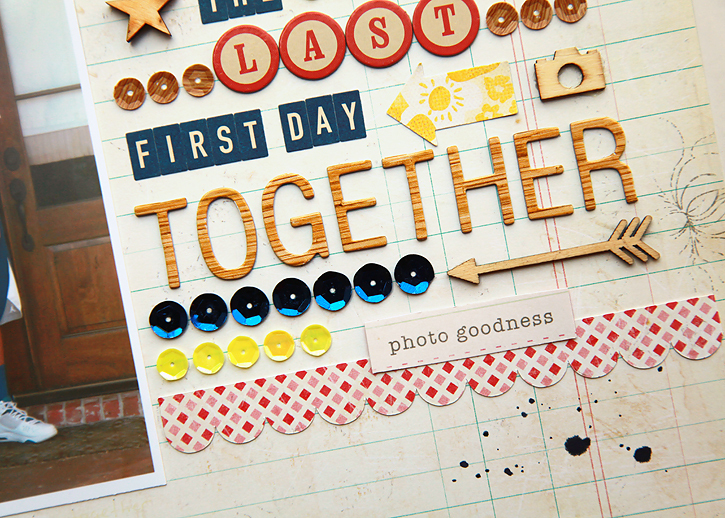 The August Creative Weekly challenge is going on now over on the Crate Paper blog. The theme this time is navy blue + sequins. 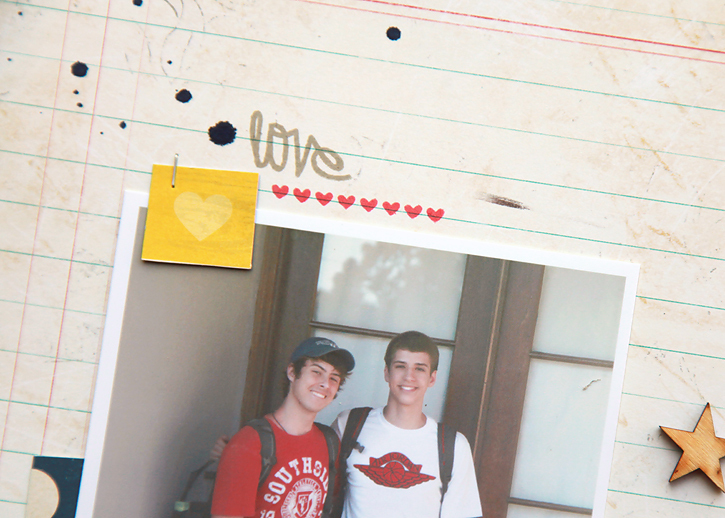 I chose to document the last first day photo of my boys I'll ever take together since Alec will be in college next year. I used rows of sequins to embellish my long title. I wanted to make sure the title stood out because the important part of this layout to me was realizing it was the last one. I mostly used Crate Paper's DIY Shop collection, plus a little from Maggie's Flea Market collection which should be in stores in the next couple weeks. love love that titlewith all the sequins and veneers. gorgeous layout! 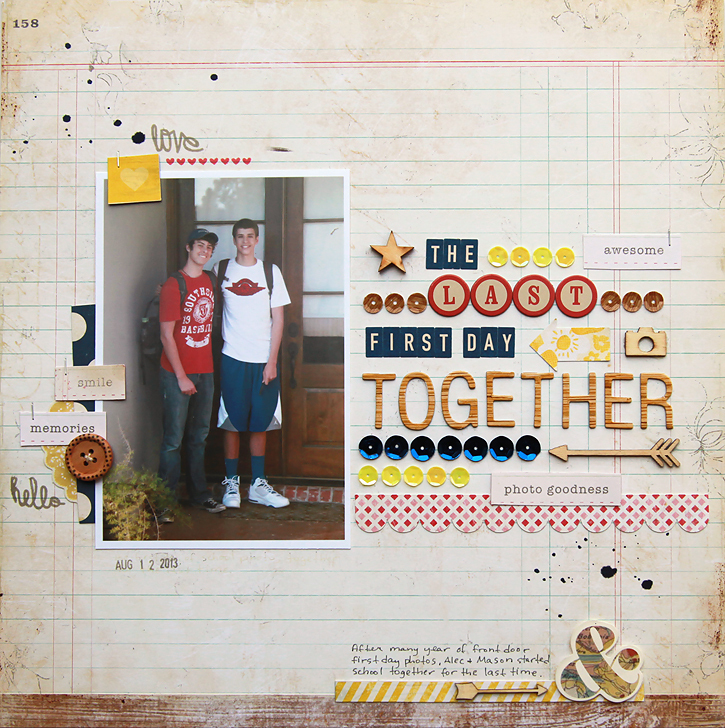 This page is great - fabulous title and I love how you used the sequins. Really fun title! Love those sequins all lined up in there. Those boys are getting big!